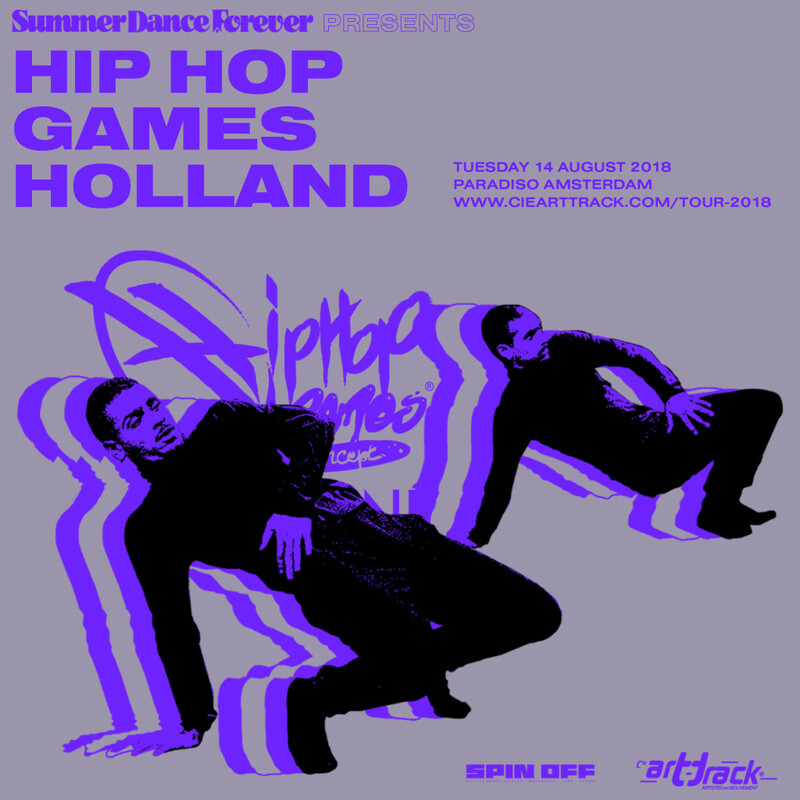 During Summer Dance Forever the second edition of the Dutch Hip Hop Games takes place at Paradiso. The event is a preliminary round of an international dance competition, spread over various countries with the final rounds in France. The winner will gain eternal fame plus a financial reward up to € 50.000, to produce their own dance performance that will tour around Europe. In these preliminaries, a selection of crews from the Netherlands will compete against each other. Through the performance of improvised dance, the companies all have a chance of winning a place in the final – the winner will be selected by a jury. Hip Hop Games gives the participants the opportunity to show their production on an international level. The audience is treated to an afternoon of exciting and artistic performances. Hip Hop Games was initiated by French choreographer Romuald Brizolier (Juste Debout) and took place for the first time in 2011. The event now operates at an international level with editions in Denmark, France, Iceland, Belgium and Senegal. The dance event is specifically aimed at creating the connection between dance battles and choreographic performances, where improvisation is the core. Deadline for registration is 1 August 2018. Our jury will make a selection from all entries and determines who can participate. The crews that have been selected will participate at Hip Hop Games Holland on Tuesday, August 14 in Paradiso. Crews that are not selected receive a free ticket for the event, to come and watch.